BIG BROTHER was down a notch in its return. CBS: The season premiere of BIG BROTHER dropped 0.2 from 2017 to 1.5. This may change in finals, but for now it appears to have pushed CODE BLACK up 0.1 to 0.8. FOX: MASTERCHEF held at 1.0, and 24 HOURS TO HELL & BACK was up 0.1 to 1.1. 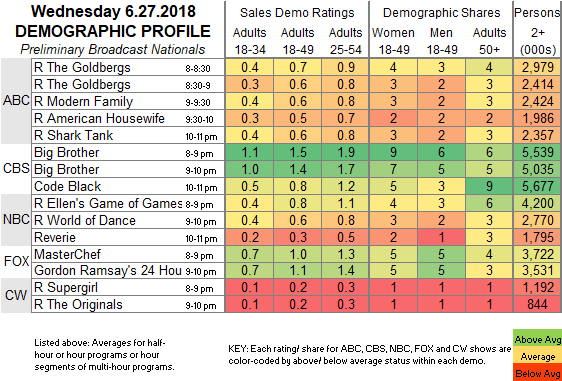 NBC: REVERIE fell 0.1 to a new low 0.3, after 0.8/0.6 reruns. 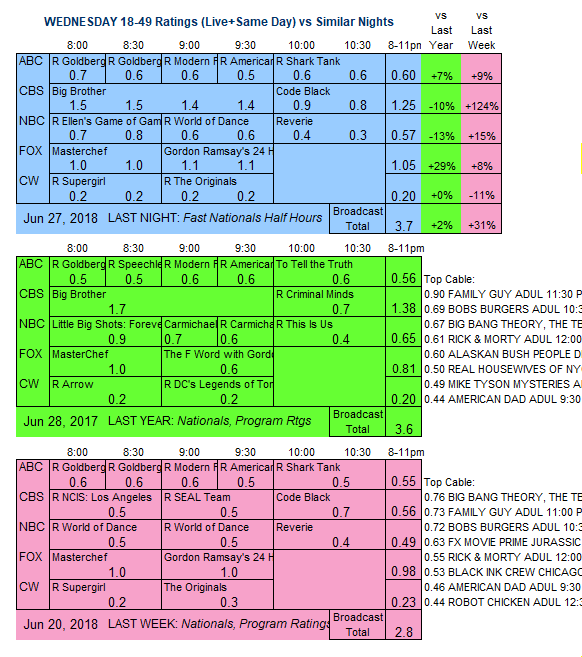 CW: Reruns currently at 0.2/0.2, subject to adjustment because of baseball preemption in NY. The Thursday installment of BIG BROTHER has its season debut tonight.